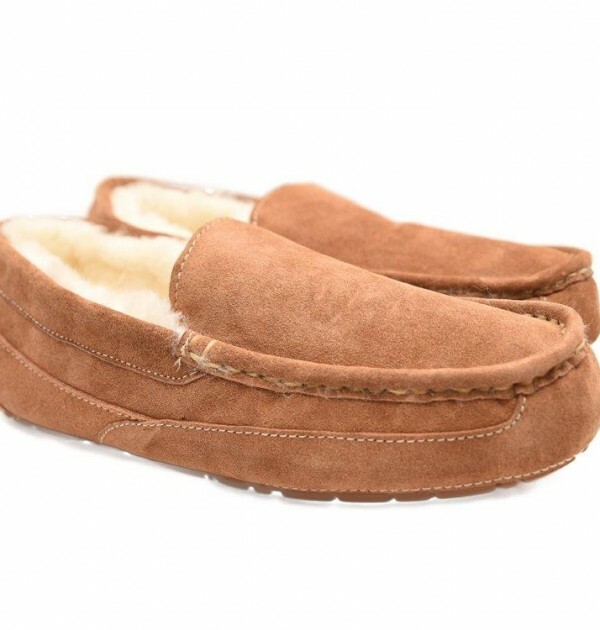 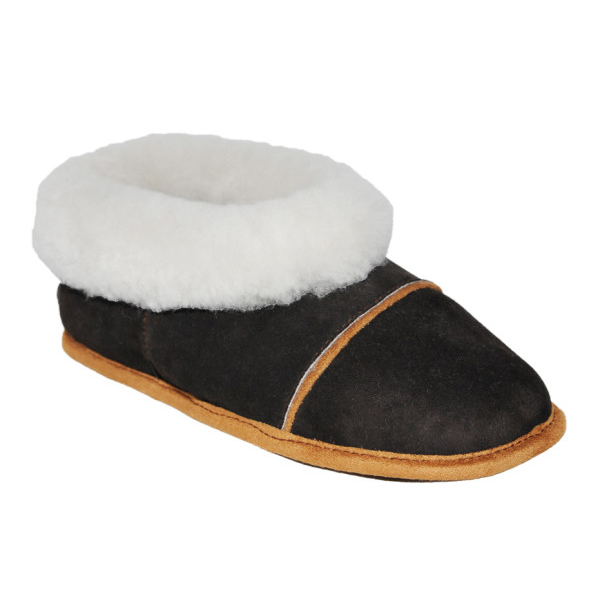 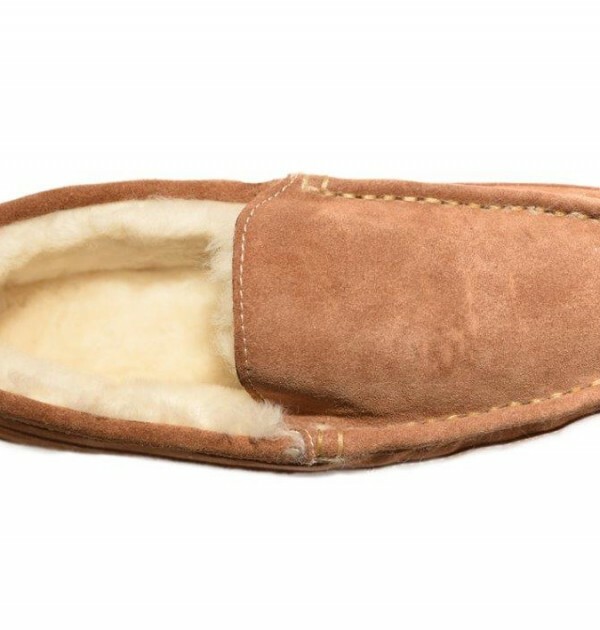 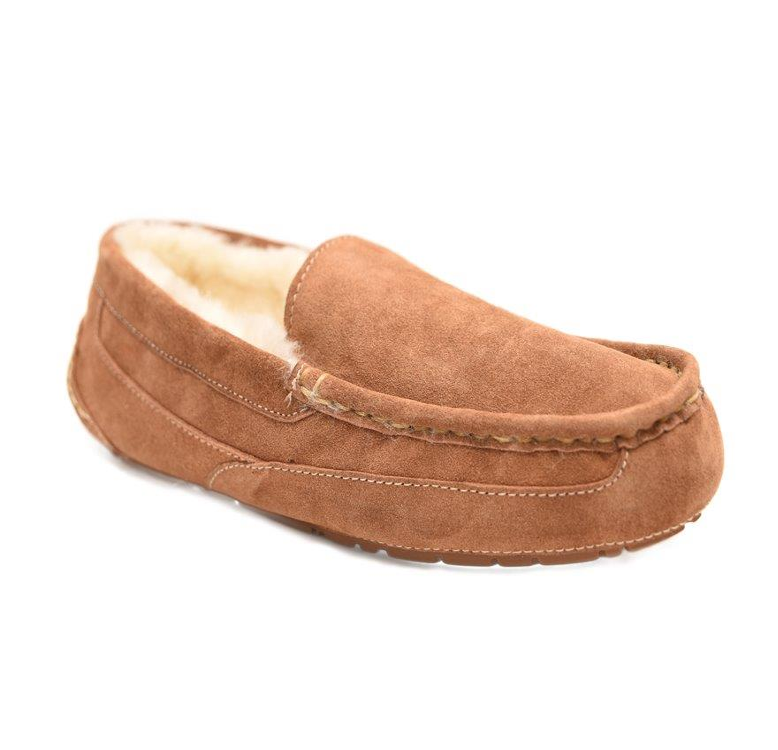 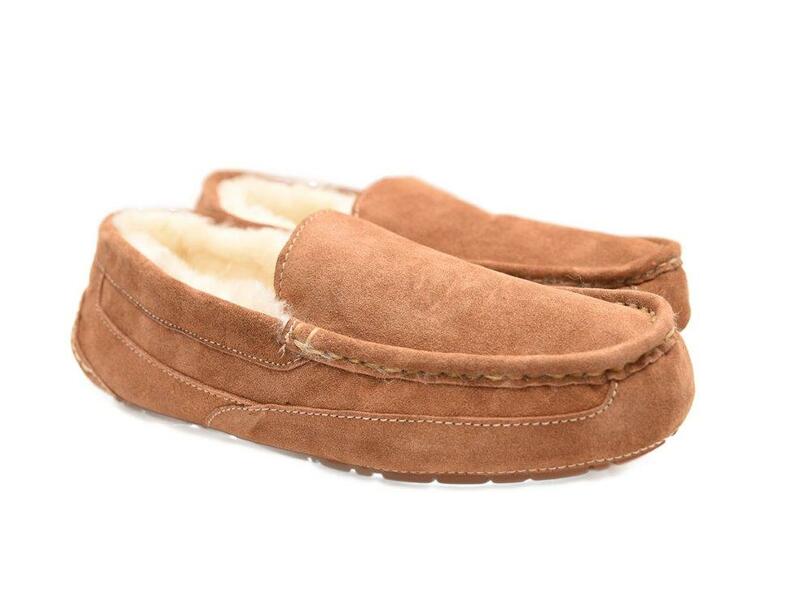 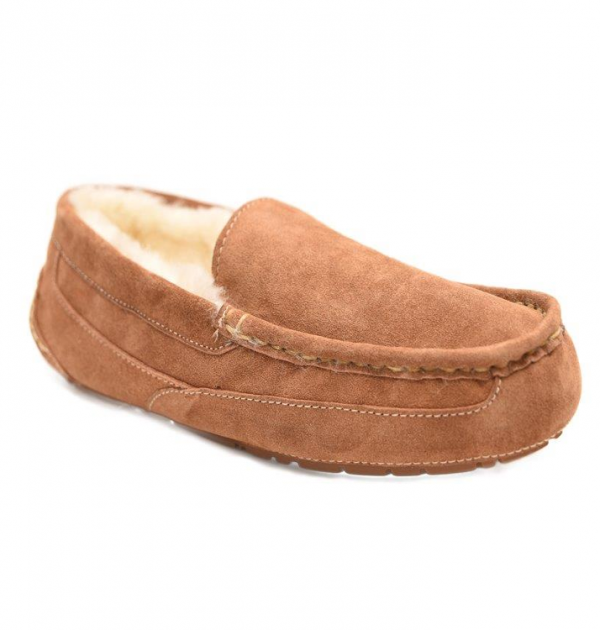 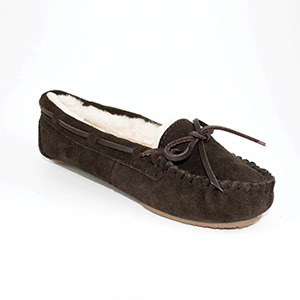 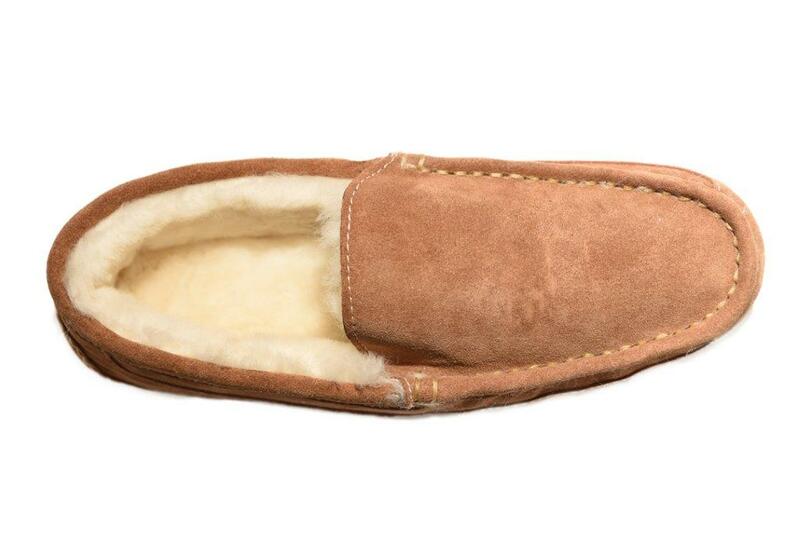 This new women’s cozy and durable moccasin is covered in soft chestnut suede with 100% genuine sheepskin wool on the inside. 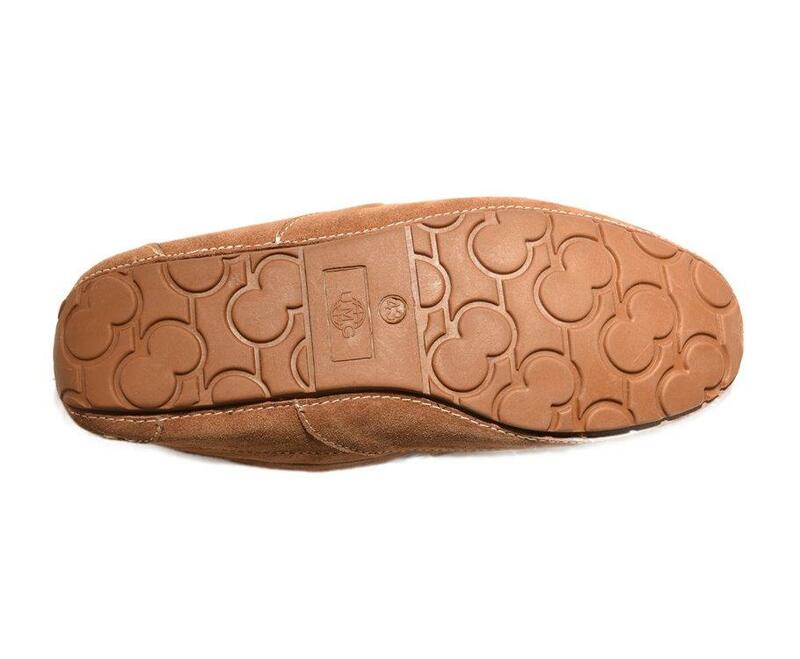 The detailed cream stitching adds to the timeless look. 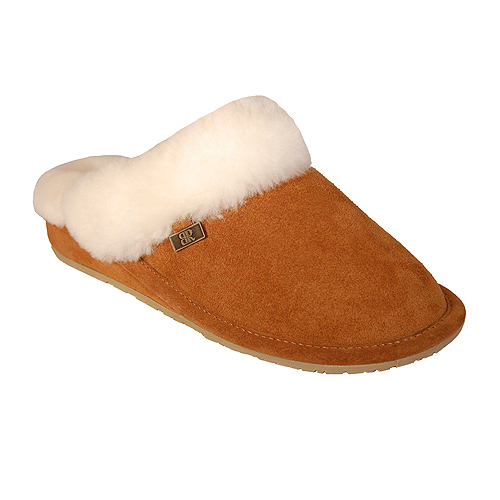 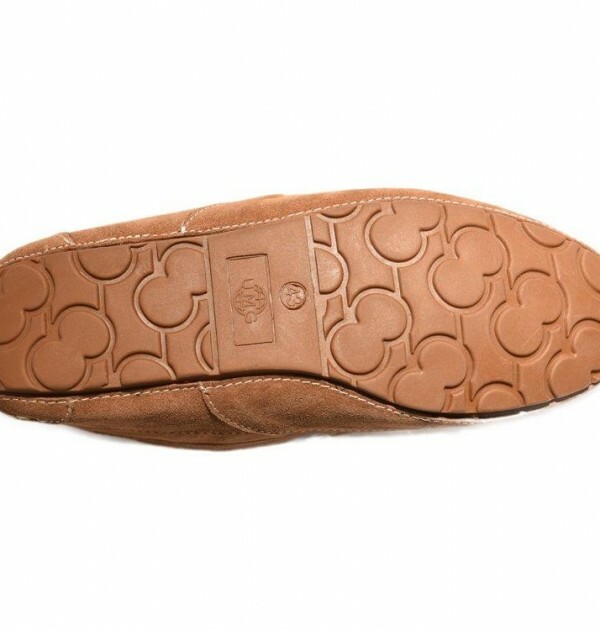 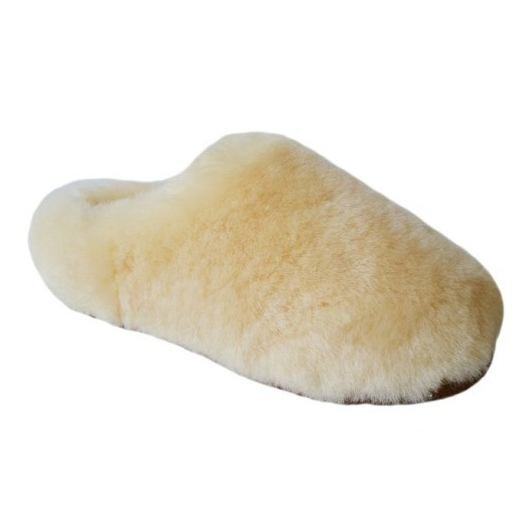 It has an anti-skid rubber sole which makes it perfect for indoors and that quick dart to the curb.